Summary: Revenues remain in decline, record breaking year for profits, record breaking year for profitability, record breaking year for cashflow, balance sheet very strong. The CCP 2015 Financial Statements were filed at the Directorate of Internal Revenue on 30 March 2016. I have a obtained copy (they are available to the Public) and discuss them below. I have filled in the main numbers on my CCP Financials (as published) page to allow a quick comparison of the Profit & Losses, Balance Sheets and Cash Flows of prior years going back to 2008 (i.e. 8 years of numbers). I have also created new page "CCP hf. Consolidated Financial Statements for 2015" that recreates the 2015 accounts as near as practicable to their original form to allow others to take the information and analyse it themselves. Discussions on implications for Player numbers (i estimate 396,000 + Trial Players) and Plex all below. Iceland, much like the UK and other countries, requires all companies (both public and private) to file their Accounts at a central authority within a certain time such that they be kept on record and can be viewed by the public. There are good reasons for this which are beyond this post - but are mainly to do with the fact that a company is a separate legal entity from its shareholders and management. For the UK, anyone can go online to Companies House, or private websites, and download a copy of any UK company for £1 (free at the moment) - in fact, you could download the accounts of the UK subsidiary of CCP of you wanted. In Iceland, to get a copy of the accounts you need to fill out a form in Icelandic and, for the required payment, they email you the accounts. The 2015 CCP hf. Accounts can be found on the website of Directorate of Internal Revenue, click on the "+" sign beside the phrase "Gögn úr ársreikningaskrá". And if you brush up on your Icelandic you can find the right form to fill in and the accounts will be emailed to you for a fee. Note, you need to navigate the Icelandic version of this site (google translated if required), the English version seems to bypass all the company data pages. As far as i can tell, there are no half-year accounts though i am not sure what the accounts filed on 22.09.2015 (number 415679) were. I am tempted to check. For the record, I maintained last year that Eve Online is a very profitable, cash generative and low growth game which is standing the test of time (up their with very few other games). 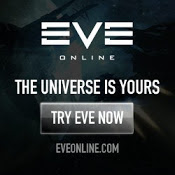 The 2015 accounts show that Eve Online is indeed a very profitable and cash generative game. The growth matter though remains to be proven for now. In 2015 we are largely seeing a cleaned up business and so can get a good idea of what CCP (mainly Eve Online) looks like in real life. There are only a few one-offs which flattered the numbers: sale of World of Darkness added $5.1m of profits and $5.7m of cash; and an equity raise added $30m of cash. For 2015 the Revenues (Eve + Eve China + Others) were $65.7m vs $68.6m in 2014. More below, but i estimate that Eve Online (not including China) were $53.7m vs $63.7m in 2014, a fall of 16%, and brings the Eve Online revenues down from its peak of $71.7m in 2013 back to the 2009 level of $51.8m. That said, this year CCP made a post tax profit of $20.7m vs a loss of $65.6m in 2014 (i estimate that the underlying profits in 2015 were $15.4m once the World of Darkness profit on sale is excluded and the 2014 underlying profits were $11m once i excluded all the one-off write-offs, so still saw good profit growth). In fact, i have data going back to 2008 and CCP has never made profits of over $12m - so 2015 is a big record year. Further good news is that CCP generated free cash flow of $14.9m vs $0.2m in 2014, swapped the expensive $20m Convertible Loan into cheaper bank debt and raised $30m to recapitalise the company. CCP now has net cash of $33.8m vs net debt of $16.0m in 2014. CCP has never had a stronger net cash position. Perhaps where CCP has fallen down is how it uses that cash on other projects - and 2013 and 2014 was all about cleaning up that mess (including raising new equity in 2015) - and therefore its lack of revenue growth. Eve Online revenues are back to below 2010 levels. In summary, CCP has been cleaned up and has plenty of cash to invest in new projects (fingers crossed!). A key debate will be if CCP can put Eve Online back onto a growth path, what is CCP going to be spending its cash on and how will Valkyrie do. Full year revenues fell 4.2% from $68.6m to $65.7m. That is on top of the decline in 2014 of 10.6% from $76.7m to $68.6m. Very broadly, i believe there are four parts to the 2015 Revenues: Eve Online; Eve China; Other Games and Others. Given that Eve Online was the only game this year then that would indicate that the Eve Online Revenues were the $53.3m vs $63.7m in 2014. I have no idea what "Other revenues" of $7.1m are and this did a lot to bail out the overall revenue decline. It is made up of "Revenue from sale of goods" of $1.1m and "Other Revenue" of $6.0m. I am reasonably sure this does not relate to the sale of World of Darkness given i suspect the "Profit on Sale" of that business is included in "General and Administration". That said, i can't for now think what this $6.0m revenues would be - if it proves to be a one-off then we should exclude this $6m revenues and associated profits from our view of the underlying business of CCP. Within the geographic distribution of Revenues "Other regions" is defined as the Southern Hemisphere hence i believe Eve China is mostly Asia / Royalties & Licenses. So anywhere between $4.9m and $5.3m. To make life easier i have assumed that Asia is China and that Asia is included in the "Royalties and Licenses" line, the remaining $0.4m of Royalties & Licenses i classed as "Other Games". Hence, stripping out "Other revenues" of $7.1m and remaining Royalties of $0.4m leads me to conclude that Eve Online was indeed the $53.3m of revenues in 2015. No hiding from it, this was a tough year for Eve Online revenues in 2015, worse than in 2014. In 2015, Eve Online Revenue therefore fell 16%, and that is on top of a fall of 11% in 2014. Eve Online Revenues peaked at $71.7m in 2013 and now are $53.3m. I suspect the only growth came from China - all other regions were in decline, a similar story to 2014. The accounts themselves do not state the number of subscribers or player in Eve Online. Remember that Players = Paying Subscribers + Plexed Accounts + Free Trial Players. Also, remember that Plex is only counted as Revenues when it is used - and i am assuming that Plex is only used for game time when it is activated (dangerous assumption, i know). In 2012 we were told that Plex sales make up 20-25% of revenues and 1 months subscription was $15 vs a Plex of $20. We were also told in 2012 that there are about 30,000 - 40,000 Trail Players at any one time. Subscriber numbers (including China) were last disclosed as at 31 December 2012 at 490,000 (351,502 2011, 360,000 2010). That included China which in February 2013 had 85,959 subscribers and about 84,000 in December 2012. So lets assume as at 31 December 2012 Eve Online (not including China) had about 406,000 subscribers. Eve Online Revenues in 2012 were $64.1m vs $53.7m at the end of 2015. That is a fall of 16%. If we dangerously assumed that the proportion of Plexed accounts stayed constant then that would indicate that Subscriber numbers have fallen 16% to 340,000 and that they still represented 75% of revenues leaving the Plexed accounts to represent 25% (=$53.7 x 25% = $13.4m). At $20 a shot per month that would indicate 56,000 Plex accounts and so total players at the end of 2015 of 396,000. And then add in however many Trial Players there are were. Alternatively, we could merely observe that in 2009 Eve Online Revenues were $51.8m and in 2010 Eve Online Revenues were $57.4m. We know that the Subscribers in 2010 were 360,000 (China was not around back then) so that indicates that the above 340,000 subscriber number is in the right area. As an aside, in the 2013 prospectus to raise the bond money CCP included a chart on "The development of monthly subscribers to EVE (excluding Eve China), as shown below. I can only assume this is the average monthly subscriber numbers in each year given it does not really reconcile to anything else. Now, Deferred Revenues are cash that has been received during the year but relates to sales for future periods. In other words, subscriptions paid in advance. The subscriptions paid in advance as at 31 December 2015 were $3.7m vs $4.0m in 2014. If we assumed that there was no mix change (i.e. the average payment in advance per player was the same in 2015 as 2014) then we can say that the subscriber base fell 7.5%. If someone could tell me the average payment in advance per subscriber then we could get another estimate of the subscriber base. This is revenues less the direct costs of running the game (servers, employees who run the game such as security, customer support etc). Gross profits were $61.4m which is 93.5% of Revenues and a healthy level. Eve Online should cost next to nothing to actually run (there are more costs in coding updates, marketing, publishing etc elsewhere). Infact, 93.5% is the highest proportion of revenues that Gross Profits have ever been. The number of staff at CCP at the end of 2015 was 330 vs 338 at the end of 2014. At the end of 2013 it was 508. 2014 was the year of the big layoffs - hence 2014 still carries the cost of those staff. A far cry from the 603 staff employed in December 2010. In total, CCP paid $23.8m in salaries (or $29.5m once we add in all the salary related expensions like pension contributions etc) vs $33.1m in 2014 (or $42.5m). In total, operating costs came to $40.9m with declines in R&D, publishing, Marketing and General & Admin given no more Dust514 and World of Darkness, and the associated cut backs in staff. However, CCP states that General & Admin costs were $11.2m vs $19.8m in 2014. That feels like too big a decline on its own. Indeed, I suspect that the profit in the sale of World of Darkness in October 2015 of $5.2m is included in here and the actual General & Admin costs are in fact higher at $16.3m. It would be very unlikely if General & Admin was as low as $11.2m, a level not seen since 2008. Hence, it is likely that the underlying operating costs were $46.1m which still compares favourably to the $95.8m in 2014 and is right back at the 2010 level of $46.6m. If i assume this to be the case then operating profits (profits before interest and tax = revenues - cost of sales - operation costs) were $15.4m - a new record for CCP - and an operating margin (operating profits as a % of revenues) was 23.4% - another record for CCP. Worth remembering that this 23.4% operating margin is the Eve Online margin less costs of developing Valkyrie. That makes the 23.4% quite respectable. Activision Blizzard generates operating margins of 28.3%. Hence, for 2015 at least, CCP is within range of the leaders on profitability. As an aside, i suspect CCP wrote off most of the carrying value of World of Darkness in 2014, so the $5.2m profit on sale ($5.7m proceeds less $0.5m costs) is perhaps quite flattering. The $20 convertible bond, requiring interest payments of 7%, was repaid in April and replaced by a new $24m bank loan with interest of LIBOR +4.7%. So a good saving there: interest costs will go from $1.4m pa to $1.1m. When comparing to the 2014 Finance Costs, don't forget that there was an accelerated $3m charge to reflect the early redemption of the Convertible Bond. The company still has loads of losses to offset against tax, so CCP is not yet paying any corporation tax of note. I am not sure when CCP will start paying corporation tax (at 20% of pre tax profits). After some small currency movements that all gives post tax profits of $20.7m (that includes the one-off profit on sale of World of Darkness of $5.2m). CCP has not has not seen post tax profits over $10m, let alone $20m, since i have records going back to 2008. Even if i was to exclude the profit on sale of World of Darkness it would still be a new CCP record. CCP itself generated cash of $14.9m (free cash flow of $20.6m less the $5.7m sales proceeds of World of Darkness) - again a record based on the data i have going back to 2008. One-off cash inflows were: World of Darkness was sold in October, it looks like the sale price was $5.7m; $30m new equity was raised in November. Hence, the $14.9m cash generated by the business + $5.7m sales proceeds + $30m equity - financing costs, put the company into a strong net cash position of $33.8m vs net debt of $16.0m at the end of 2014. That is the strongest CCP has ever been in. If anything, CCP may have raised too much equity in November unless they have some grand spending plans for 2016 onwards. Development costs carried on the Balance Sheet - i.e. costs (mainly salaries) spent in developing Valkyrie and Eve Online releases - were $14.6m vs $13.6m in 2014. Peaked at $88.0m in 2012, we saw a huge right offs in 2013 and 2014 of $21.5m and $29.4m respectively. Of last years $13.6m, some $9.3m was expended through the P&L and replaced by $10.1m of new development. In other words, unlike prior years, the Development cost on the Balance Sheet is being quickly and prudently expended. As ever, to get an idea of how much Plex is sitting in hangers we look at the Deferred Income line in the balance sheet. As a reminder, Plex sales only appear in Revenues once the Plex is used up. Until then, it sits in Deferred Income. Also potentially sitting in Deferred Income is any Aurum bought from the Store - but I assume that the purchase of Aurum is used immediately. See my reasoning in this post i wrote back in September 2014 for linking Deferred Income to Plex price movements. Looking at the "In-game purchases not yet consumed" line indicates that the US$ value of Plex sitting in hangers has risen from $3.0m to $3.3m. If we assume each Plex costs $15 then that indicates the number of Plex sitting in hangers has risen from 197.7k to 219.8k (using the same methodology in December 2012 there was 71k Plex sitting in hangers and in 2013 there was 140.5k Plex sitting in hangers). That indicates quite a slow down in the growth of Plex being bought by players as an investment though still indicates that there is net buying pressure on Plex from those players. CCP should make a mobile game- something like PI, but tied into the real world position, like Ingress. So bottom line, CCP has written off all the goodwill losses of WoD, Dust, etc the previous year, and we are now looking at the true profitability of Eve, which is a very high margin property. But their revenues are dropping year over year, due to CODE, goons, and the dev's making high sec players miserable. "Also, remember that Plex is only counted as Revenues when it is used - and i am assuming that Plex is only used for game time when it is activated (dangerous assumption, i know)." A dangerous assumption indeed. Am I the only newish player (20K skills points) not able to make isk in game and who only buys plex so that I have in game money to re-buy ships when I'm ganked? That PLEX you sold for ISK is sitting in someone elses hanger - it hasn't been used, merely transferred to another user. PLEX is used when exchanged for Aruum, used for game time, character transfer on purchase and for the AT bidding lottery. The problem with Subscribers is if a single person had 4 accounts that is 4 subscribers. We would need Distinct IP \ Online Players surveyed at hourly intervals to get the Accounts Per Person and compare over time. The danger is the subscriber counts could be a house of cards when a single 'person' quits playing taking 4-10 accounts with them. I poked CCP back in 2011 about that so at the very least they know and are watching that. Each year inflation is battering them like the rest of online services with data center costs per watt constantly rising (Some regions upwards of 12% per year in energy costs). Even at 50 mil in liquid capital to invest in expansions, retooling, etc just to cover that outlay you are looking at reversing 10-17% declines and breaking at least (napkin math) drawing in another 208k consistent subscribers (at say 1.5 players per account then we get about 104k subscribers needed). That is a huge risk in investing 50 mil into an MMO hinging on a 33% bump in subs to cover the cost. Riding the long tail is risky as depending on the real subscriber \ account ratio means a few crucial cancellations could bring the house of cards down.